In the late 1800s and early 1900s, Chandler was a state senator, Ocala city clerk, Florida delegate to the Republican national convention, and Republican nominee for Florida secretary of state. But while African Americans like Chandler initially had political opportunities in the post-Reconstruction South, segregation and Jim Crow practices soon seeped into Florida and elsewhere in the South. 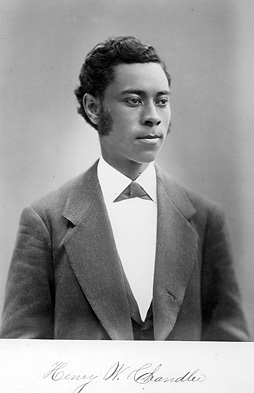 In 1908, Blair writes, Chandler left Ocala to accept a federal patronage position in Tampa, serving “five years before he and other black Republicans were fired by the Democratic administration of Woodrow Wilson in 1913,” wrote historians Larry Rivers and Canter Brown Jr. in Tequesta, the journal of the Historical Association of Southern Florida. Chandler remained in Tampa for another 13 years before moving to Lakeland in 1926. He died in March 1938. View story from The Ledger, Feb. 12, 2011.